To refresh your memory, this antitrust class action was brought on behalf of approximately 12 million merchants against Visa and MasterCard, as well as against various issuing and acquiring banks, alleging a conspiracy in violation of Section 1 of the Sherman Act. After nearly ten years of litigation, the parties agreed to a settlement that released all claims in exchange for relief to each of two classes of merchants: (i) up to $7.25 billion would go to an opt-out class (i.e., yourself), and (ii) a non-opt out class would get injunctive relief. The District Court certified these two classes and approved the settlement as fair and reasonable. Thereafter, numerous opt-out plaintiffs filed a timely appeal with the U.S. Court of Appeals for the Second Circuit (the “2nd Circuit”), alleging that this class action was improperly certified and that the settlement was unreasonable and inadequate. Unfortunately, on June 30, 2016, the 2nd Circuit agreed with those filing the appeal and dismissed the settlement. The 2nd Circuit primarily based its decision on procedural grounds, finding that the class plaintiffs were inadequately represented by counsel. Specifically, the 2nd Circuit held that the settlement was too broad and did not protect the second class of merchants mentioned above (the non-opt out class). According to the 2nd Circuit, attorneys for the plaintiffs could not (and should not) have represented both classes of merchants because the classes’ respective interests were inherently in conflict. For your reference, the 2nd Circuit’s full opinion can be found here. The 2nd Circuit’s decision forces all parties back to “square one” in terms of settlement and throws out the $7.25 billion set aside for merchants such as yourself. While Visa and MasterCard are reviewing the 2nd Circuit’s decision to determine their next steps, the parties can either (i) try to pick up the pieces of the dismissed settlement and agree to new terms acceptable to the District Court and, more importantly, in line with the 2nd Circuit’s recent opinion or (ii) move forward with litigation and, ultimately, trial against Visa and MasterCard. Currently, the case is back before the District Court. So, what does this mean for you, the merchant? Unless another settlement is reached and approved (which may take years), you will not be receiving any monetary recovery from the Visa/MasterCard Settlement. 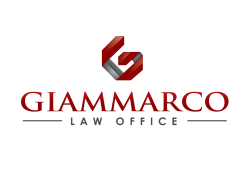 Likewise, our firm will not be administering your claim recovery pursuant to the Service Agreement because there are no settlement funds to recover from. If another settlement is reached and you are entitled to a monetary recovery as a result, we will reach out to you and discuss your options at that time. This is an unfortunate change of circumstances, which none of the parties anticipated, especially considering the District Court agreed with the settlement as well. While we feel the settlement would have fairly compensated many merchants who have been forced to pay Visa and MasterCard’s excessive fees for several years, the 2nd Circuit obviously thought otherwise and dismissed the entire settlement. If you have any questions or concerns regarding the Visa/MasterCard Settlement, please contact us via email.